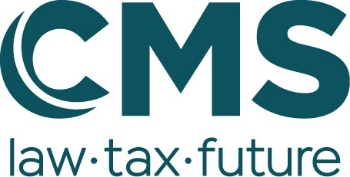 On 29 October 2018, Phillip Hammond, the Chancellor of the Exchequer, announced in his Budget that the UK will be pressing ahead with a unilateral Digital Services Tax (“DST”) from April 2020, subject to an appropriate international measure being in place. The DST will be chargeable at a rate of 2% on those revenues of certain digital business models that are linked to the participation of UK users (this is lower than the rate of 3% in the European Commission’s similar proposal). a search engine generating revenues from displaying advertising against the result of key search terms inputted by UK users. In publications following the Budget, the government confirmed that the DST is not to be a tax on: (i) the online sales of goods (it will only apply to revenues earned from intermediating such sales), (ii) financial and payment services, (iii) the provision of online content, (iv) sales of software/hardware, or (v) television/broadcasting services. Further, the DST is not intended to be a generalised tax on online advertising or the collection of data. Businesses will only be taxed on the revenues derived from these services to the extent they are performing one of the in-scope business models and only in respect of revenues linked to UK users. For the purposes of the DST, the key is the location of the user (not the business) when it comes to determining any DST charge. A double threshold – (i) businesses will need to generate revenues from in-scope business models of at least £500m globally to come within the DST; and (ii) the first £25m of relevant UK revenues are also not chargeable. A safe harbour – businesses can elect to calculate their DST liability on an alternative basis, which will benefit those with very low profit margins. Those making losses will not have to pay the DST and those with very low profit margins will pay DST at a reduced rate. The UK government will be consulting on the precise design to ensure that the DST is proportionate. A review clause – the DST will be subject to formal review in 2025 to ensure it is still required in light of international developments. The UK government intends to disapply the DST if an appropriate international measure is in place prior to 2025. Additionally, the DST will be allowable expenditure for, but not creditable against, UK Corporation Tax. A consultation is to be issued on the design of the DST in the next few weeks. Proposed legislation for the DST will be included in the 2019/2020 Finance Bill and will apply from April 2020. As noted in our previous articles, it will be interesting to observe the response of the United States given the number of US-based technology companies which will be affected. For more information on the UK’s proposed DST, please see the government’s brief statement outlining the proposal here. For more information in respect of changes affecting the digital economy, please see our articles: European Commission confirms proposals to tax the Digital Economy (here), Taxing the Digital Economy: UK updates position paper (here), Leaked document reveals EU proposals for taxing the Digital Economy (here), EU proposals move ahead for a common corporate tax base (here), Europe Taxing the Digital Economy: could a turnover tax be on the horizon? (here), Taxing the Digital Economy: first steps by the UK (here), Public Input on Taxing the Digital Economy (here), and EU blacklist of tax havens and plans for taxing the digital economy (here).